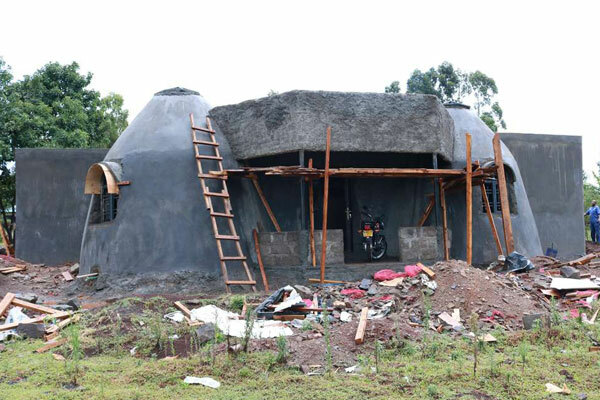 This three-bedroom house for a family of five is being constructed using earthbags and is the first of its kind for a residential home in the Kenya. “This is the first time I am seeing this concept despite having headed several construction projects over the years. It is such a joy to have been able to execute instructions from the architect and pull it off,” said Mr John Kibet, the labor contractor. “This is excellent work you have done John,” remarked a neighbor. Even builders on the site seemed inspired by the house they were building, and often spoke of what they would include in their own houses when they get to build them. Construction of the domes is the most challenging as it has to be done to precision, with the radius from the center of the dome reducing with every layer of soil. Domes, however, eliminate the need for a separate roof, which can be very expensive. “The roof appears hidden from the ground, meaning you would have to be on higher ground to get a glimpse of the roofing structure. This also means you can go for the usual corrugated iron sheets as the house’s appeal is not dependent on the type of roofing,” offers Mr Kibet. The dome shapes resemble traditional mud-walled huts, and the feeling one gets when entering a room is as if one is getting into a cave. Great job…do you know anyone earth bagging in Daar Tanzania? 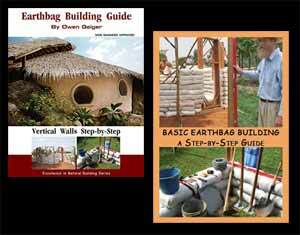 This is good news for earthbag building in Kenya.